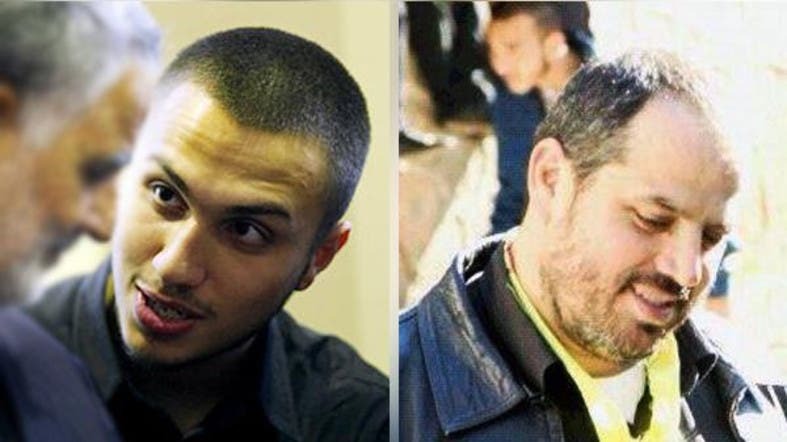 Compilation image shows Jihad Mughniyeh, left, and Mohammad Issa. Several Hezbollah members were killed on Sunday when an Israeli helicopter fired two missiles in the Syrian province of Quneitra near the Israeli-occupied Golan Heights, the group said. “A group of Hezbollah mujahedeen were martyred in a Zionist rocket attack in Quneitra, and their names will be revealed later,” said a message flashed on Hezbollah's Al-Manar news channel. They were killed during a field reconnaissance mission in the Mazraat Amal village of Quneitra province, the message said. Al Arabiya’s correspondent reported that the son of slain Hezbollah commander Imad Mughniyeh, Jihad Mughniyeh, was killed in the attack. The dead also reportedly included Mohammed Issa, a Hezbollah commander responsible for its Syrian and Iraqi operations. Earlier, AFP quoted an Israeli security source as saying that an Israeli helicopter carried out a strike against "terrorists" in the Syrian sector of the Golan Heights who were allegedly preparing an attack on Israel. The source told AFP the strike took place near Quneitra, close to the cease-fire line separating the Syrian part of the Golan Heights from the Israeli-occupied sector, confirming a report by Lebanon's Al-Manar television. According to the source, Israeli drones were present in the area during the attack. Last month, the Syrian army said it shot down an Israeli reconnaissance drone flying over Quneitra province. In August, five rockets fired from Syria hit the Israeli-occupied sector of the Golan Heights and in July Israel shelled Syrian army positions after a Syrian rocket hit Israel. Syria and Israel are officially in a state of war, and Israel has occupied the Golan Heights since 1967. The occupation is not recognized by the international community.